This cross stitch pattern is the ideal Christmas tree for those who are all for traditional colours when it comes to decorating at the holiday season. The Christmas tree consists of Kreinik #4 braid with flowers stitched in DMC. Lots of bling in a small scale design will create a lasting impact. 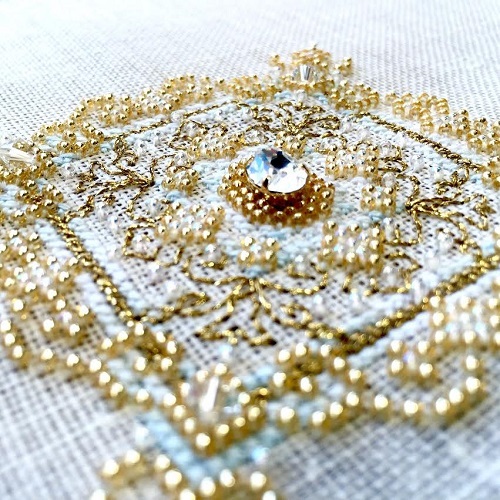 This cross stitch pattern used DMC, Mill Hill Beads and Kreinik #4 Very Fine Braid. The design size is 122h by 52w.